Soccer is the only sport in which a child has to move a ball with their feet while simultaneously maintaining balance and changing direction. This guarantees every child greater fine and gross motor skill acquisition than alternative sports and general physical education classes. We use stories, songs, nursery rhymes, fun games, dynamic movement and a ball for each participant to make our classes the single most enjoyable and beneficial activity children enjoy on a weekly basis. Because HappyFeet classes involve stories, songs, balls and dynamic play, children love absolutely every minute. A happy child who has satisfied their inherent genetic need to move is better able to focus, concentrate and maximize benefits from the other aspects of the school curriculum. 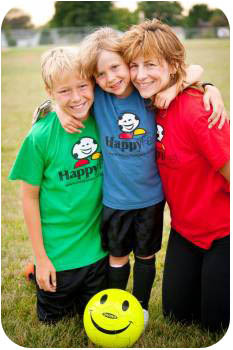 Save Time & Money while Increasing Family Togetherness - With your children in HappyFeet at school during the day, you won’t have to make extra trips to a soccer or sports program in the evening. You save time, the cost of gas, plus car wear and tear. With one less after school sports practice to attend, the family is able to spend more time together. Sport-Specific Head Start - HappyFeet is a truly great preparation program for soccer teams at all later levels (club, high school, college and pro). 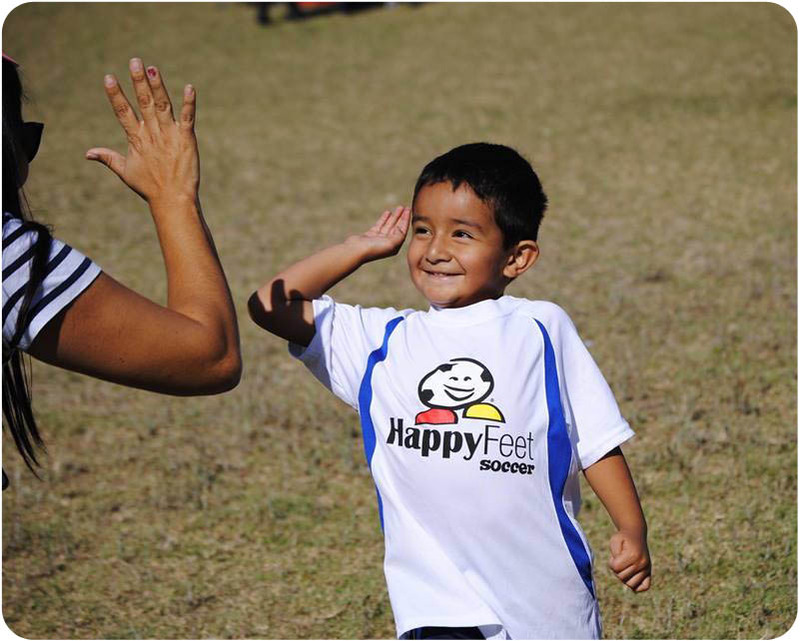 Your child will truly enjoy and benefit from the HappyFeet experience at an early age while developing tremendous skills and the foundation of leadership character for all subsequent soccer involvement. By enrolling your child in HappyFeet classes and/or leagues, you are providing him/her with a guaranteed "head start" to a specific sports goal.